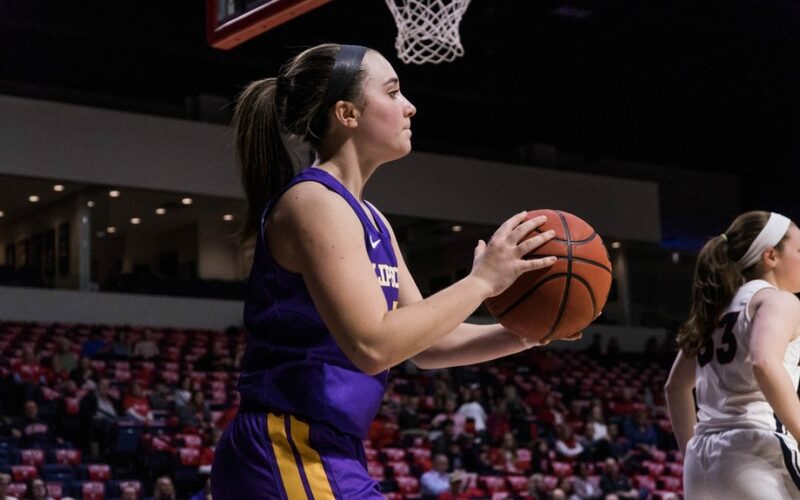 The Lipscomb women’s basketball team took down Jacksonville University 61-58 on Saturday afternoon, breaking a 19-game losing streak dating back to mid-November. The Lady Bisons led by 17 at halftime and by 13 with 7:37 left in the fourth quarter, but Jacksonville nearly came back. The game ended on a missed three-point jumper by senior guard Jasmyn Brown with two seconds left, and Lipscomb forward Kailey Rosenbaum scooped the rebound. It’s the first win for the Lady Bisons (3-20, 1-9 ASUN) since Nov. 15, a game in which they edged Alabama A&M 62-58 to begin the year 2-1. Jacksonville dropped to 12-12 (5-6 ASUN). Junior guard Carleigh Short scored a team-high 22 points on 7-of-13 shooting, while Rosenbaum added 16. Redshirt sophomore forward Emily Kmec led the team with eight rebounds, and freshman forward Taylor Hammack threw in four assists. For the Dolphins, Brown led with 16 points, while senior forward Trudy Walker grabbed 15 boards. Senior guard Rolanda Hayes tabbed three assists. The Lady Bisons now have their first ASUN win, but they still rank at the bottom of the ASUN standings. Lipscomb plays at Liberty on Tuesday. Tipoff is scheduled for 6 p.m. CT.